This page gives us the opportunity to introduce our wonderful pastor Joe Jones. 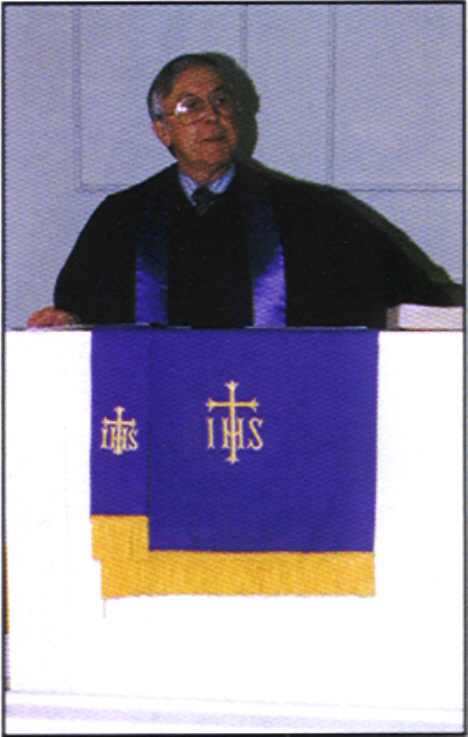 The Reverend Joseph C. Jones (Joe), is the pastor for our church. Joe has been here for the past five years. His dedication to his faith and to the church is a strength that we all benefit from. Brother Joe is a retired U.S. Army Lieutenant Colonel and wasn't called into the full time ministry until 1996. But this didn't slow his momentum to answering that call as he completed his seminary study at Emory University at a agressive pace. He accomplished this goal while also serving as pastor of our Church in a full time capacity. Joe always exemplifies his personal trademark which can be summarized by his eagerness to say "I Love You", and you can always feel that he truly means it. Daphine, his loving wife of 52 years, is also a strong part of our Chruch family and is no doubt his number one fan and supporter.